Want something to make your hockey club a cut above the rest? Harrod UK can help! We supply a bespoke range of hockey goals which can be personalised with your club logo and colours. 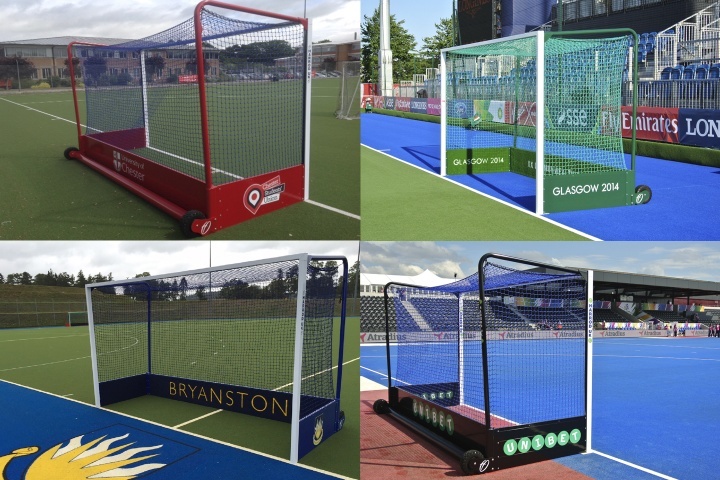 The London 2012 Olympics gave us the first opportunity to showcase the outstanding quality of our market leading concept that is now widely adopted as the industries preferred method for aluminium freestanding goals. Make those goals even more special by creating an eye catching goal. 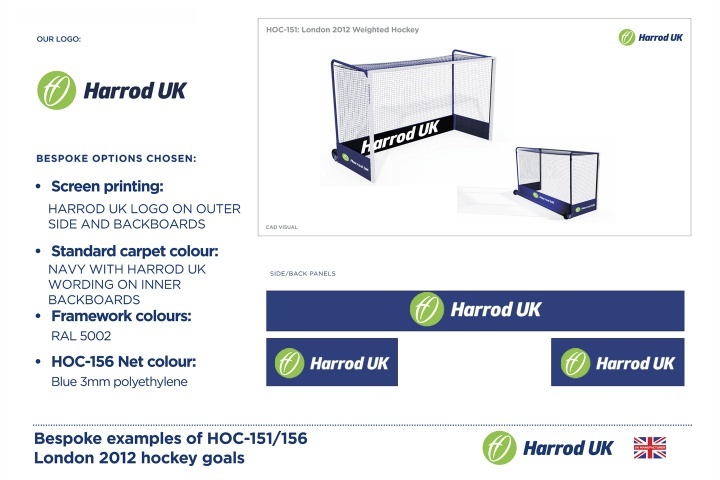 As an example of how to make your hockey club stand out using the Harrod UK branding we have created a range of hockey goal options to show you how many options we offer.